Once you’ve figured this out, you can then define everything else afterwards. It’s important to know the budget you have to work with early on, so that you can set targets and control realistic expectations from the outset. Online marketing has become so integrated that clients will often need a digital partner to support and challenge their internal team and goals. That means as an agency you face a situation where you can a) look to bring in new talent, or b) you have to accept that there’s a range of services that you just can’t offer. I’ve never been a fan of starting as a full-service agency, I’d rather be great at one thing than average at 10. But if you can find ways to build up and bring in key skills/people into your team which can complement your client campaigns, that has to be an option worth pursuing. Scaling with quality is always the biggest agency challenge, and in this game everything is about people – so good recruitment and team building is vital. I’m not the best person in my agency at everything we do (or arguably anything! ), and neither do I want to do be. No one wants to be a big fish in a small pond, that way you’ll end up making it all up yourself and have little choice but to learn from your mistakes. Alternatively, if you’re surrounded by great PPC specialists, bloggers, designers, SEOs, PRs etc you can all learn from each other and create a solid strategy where the whole is much greater than the sum of all parts. We’ve done this recently, by acquiring a paid search agency to compliment and combine our service offering into an integrated approach. I expect to see more agencies doing the same before the end of the year – and of course, like any agency, we’re always looking for talented people to join us and add to the team. 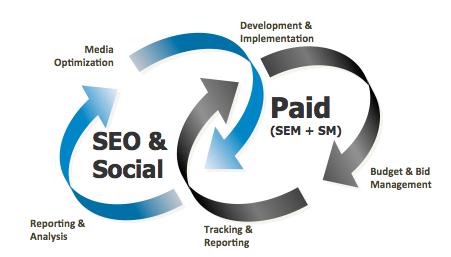 Everyone has known for years that there are efficiencies in combining paid and organic search strategies into a single team. That is true – but it doesn’t really happen until you really start to break down the silos. 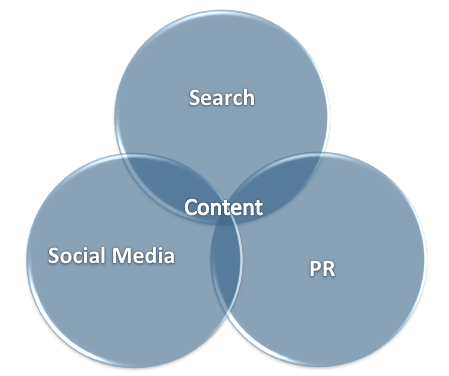 It’s even more important now, with so many overlaps in search, content, social and PR. Team building and improving efficiencies is one of the biggest learning curves I’ve faced, but it’s undoubtedly my proudest achievement too by being able to build great teams and individually see people grow and succeed. We’ve made a huge effort in our team to get everyone working together, this means internally the SEO strategists are working in combination with outreach, social media and paid search specialists and supporting each other. Sometimes, it’s as simple as getting them to sit next to each other – other times you need to bring them into internal/client meetings, brainstorming and projects. By ensuring that we act as a team, share knowledge and have a set of individual skills it means clients benefit from this multichannel approach, but you’re all working towards executing a single strategy, just from different angles using a mix of tactics. Having that single and clear strategy, operating across multiple channels using different tactics, means you’re less likely to hit bottlenecks further down the line – because you’re all on the same team and working together. In my opinion culture can often be looked at the wrong way. But to me this is what culture is all about, it’s getting everyone enjoying their work, learning every day, contributing as part of a team with the support of others and working on clients they love/sectors they are passionate about and willing to put the extra work in when it’s required. Then you can add in all the free fruit and coffee afterwards, but on it’s own that’s not the important bit. Team integration also helps to get around the issue where quite often an agency is hired, only to end up dealing with one person at that company. That means it’s almost a freelance arrangement, and not quite the service that means you get access to a range of different specialists and have the security in a backup of people who know and understand your brand and what you’re trying to achieve – especially in the case that a key contact is unavailable, on holiday or leaves the company. In 2013, there’s no longer an argument on if content is important, everyone can now see the market growth is clearly there, although surprisingly that wasn’t the case even 12 months ago. Not many people would disagree now that brands are becoming publishers and that whether you’re involved in PR, social media or SEO – content is crucial towards marketing your brand. That’s why brands like Netflix, Red Bull and Virgin Mobile are now taking content marketing so seriously. As a result of this growth, the job roles that agencies are now hiring are much more content-based. This means writers/bloggers/authors, social influencers, graphic designers, videographers and creative PRs are much more highly valued than they probably were this time last year. In order to succeed, brands are investing in content and building a brand to integrate with all of their marketing channels – this a much longer-term vision to grow their audience and sustainably increase market share. Our job as agencies is to understand the clients we are working with as much as we can, in order to execute a marketing strategy and get the best results possible. That said, no one is going to understand your brand better than you. 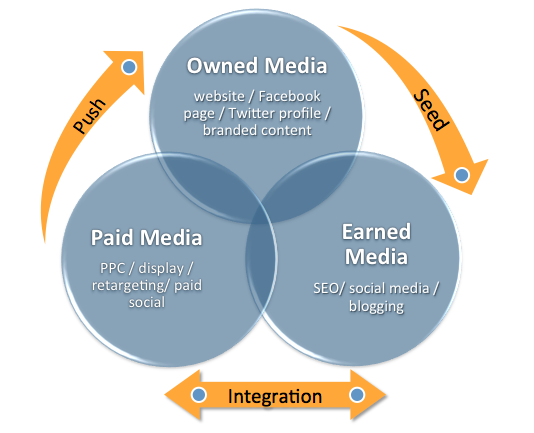 Which is why the move towards working as an integrated digital partner makes a lot more sense. That way you’re not just telling an agency to manage everything, instead they are there to support and work with you. This is where the best results come from, the days are long gone where clients just sign 12-month contracts and you have free reign, with the client only asking to hear from you 11 months down the line to arrange a review meeting. And yes, I have seen that happen! Now the task is to support and work together with in-house teams, planning and executing a strategy to combine the skills and resource of both to hit targets. As agencies – we need to use the full strength of a brand. And for content marketing, for example, there’s a huge amount of value in the data, information and knowledge that brands have available to them. Most of the time they don’t even realise this can be used for marketing purposes, so we need to work on digging this out and turning their data into content, stories, news, PR. We all can be guilty of being too stubborn to admit we could benefit from a clients help, or their PR agency’s (and vice versa). But brands have a huge amount of power in the relationships they have – if you want to create a social media or outreach campaign to leverage influencers, it makes sense to start with those contacts you’ve build strong relationships with already – so leverage what you’ve got! You can debate as long as you like about the impact of Google+, but some agencies (and brands for that matter) can be very reactive and sit back on what has been tried and tested to work for years. That’s all very well if it works, but if it has diminishing results, it doesn’t matter how good it was in the past, it’s time to move on. Plus there’s lots of opportunities and slow-moving brands that you can take advantage of by moving quickly and being ahead of the curve. Sometimes it just needs a leap of faith on something that you believe is going to become increasing important – so that you are being innovative and investing in the future – without taking your eye off the ball today. This is one of the most forward thinking SEO articles I’ve read in a long time and if you can get a head-start on things like responsive design, schema and semantic optimisation then you’re likely to be in a very strong position versus your competitors – you can leave them chasing the algorithm while you build for long-term success. Of course, you won’t always get it right, but if you’re going to be spending time on Google+ for example, don’t hang around waiting until the audience is there – the time to do it is now. Then when the audience is there, you can be one of the authorities and thought leaders within your industry. Really your business strategy and marketing strategy should be as closely aligned as possible – which is why so many people are encouraging CEOs to become thought leaders to promote their companies via blogging, speaking etc. They are the ones responsible for setting the company vision and are likely to have the strongest relationships and know more about the industry/market than anyone else, so they should be best placed to bring it all together when it comes to being innovative and predicting where their industry is going next. Which leads on to being agile. 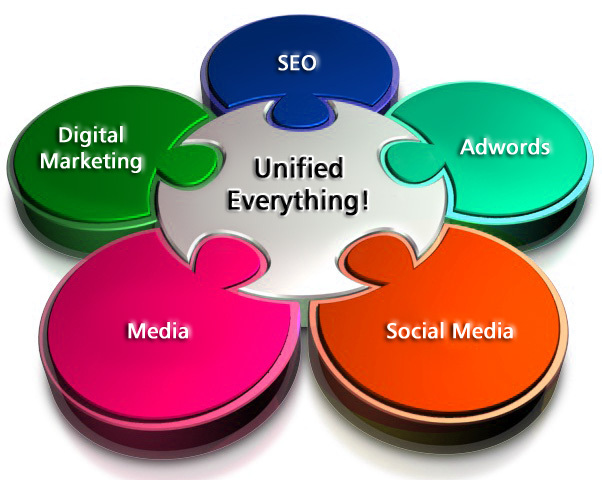 In 2013 there are so many newsworthy and topical trends that are great marketing opportunities. Here’s 26 just to name a few! Econsultancy CEO, Ashley Friedlein wrote an excellent post recently on the importance of having a 70:20:10 approach. That 10% is hugely important – as by being agile and quick to move, you’re likely to be taking advantage of opportunities where perhaps your competitors are slower to move. In this case, for once it’s not always about quality either, it’s about being quick! I really like the concept that you have something fast, quality or cheap, but you can’t have all three, pick two! In this case, fast is the vital ingredient and then you decide if you prefer quality, or if cheap will do the job. The ability to be agile shouldn’t be underestimated, we’re in a situation now where we’re telling clients that we’re going to create them x pieces of content, but we have no idea what it’s going to be about. That’s a big shift in mind-set and even a year ago, people would have laughed at that! But now, because it’s so important to be topical, we have to be quick to react and provide the content that people are tweeting about and searching for in almost real-time – otherwise you’re too late. You only need to see the results that Oreo got by being agile during the Superbowl to see that agile can yield huge results and brand visibility. It’s important to have a consistent model, so balance is key. Allow yourself enough time to be agile, but have that clear plan and strategy that it can work alongside a planned digital roadmap to get the best results. Otherwise, you’ll end up just chasing the latest fad, you should be using agile to compliment the parts that already work – not replace it. Pricing models in digital are hard to get right, it’s all about providing value at a fair market rate. In every situation, you have to make it win-win. If the client doesn’t get results they’re not going to be happy, and if the agency doesn’t make a profit, equally that’s unlikely to be a good relationship long-term. Traditionally, the way to do this has been day rates. You know how much time you’ve spent, the margin you make after considering overheads and from an agency perspective you know where you are. But it doesn’t reflect value. Just because an audit took 10 days to complete, it doesn’t mean it’s any good! If anything a day-rate often incentivises the task to take longer! Hopefully not, of course – but you always have to be aware of the dodgy car mechanic. This is especially true with tasks like blogger outreach – the expected results from time spent is vague at best – it’s results that matter. I can’t speak for other agencies, but I would be interested to hear – personally, other than consultancy time or training, we haven’t charged anything as a standard day-rate for at least a year. I would expect this is a common trend as more productised and performance-based agreements are much clearer to set expectations and charge clients/reward agencies much more fairly. It also means the pressure is on the agency to deliver as the client knows exactly what to expect in terms of key deliverables over the course of a project, with a much higher emphasis on client re-education towards quality over quantity. Focusing on the long-term gain, not the quick wins. But, it also means that if you are a client with higher than realistic target/deliverable expectations at the outset, that you might get more agencies refusing to work with you now than has happened in the past too. We want to build our clients into great case studies and success stories – but if a potential client doesn’t share that same drive and determination to get things done, it probably makes sense to pass early, rather that drag out what is likely to be a forgone conclusion. In a lot of ways the agency task hasn’t changed at all, it’s about supporting clients goals in the best way possible to achieve results. It’s also about having a proven model that works and you can stick to, no-ones wants to constantly change, but at the same time you need to evolve in order to cater for what the market needs and learn what strategies and team environments yield the most success. What has changed, is the fact that the lines are becoming so blurred between marketing channels, which means operating in silos is no longer effective. That doesn’t mean that you can’t be a small specialised agency – but it does present a new challenge, for those agencies such as ourselves, who are looking to bridge the gap between small specialist consultancies and the big media agencies. I believe the way to go is almost to do both – build an integrated team of specialist skills in each key area, then you can bring them in and out as you see fit to support the growing needs of clients across multi-channels. It’s simply the process of supporting them in that task and taking a marketing budget and spending it where it works best! I’d be very interested in hearing from other agency owners on their challenges and how they’ve adapted strategies and their positioning based upon the changing market – let us know in the comments. This piece was written by Kevin Gibbons. He is the UK Managing Director at digital marketing agency BlueGlass and is also known as an SEO speaker. This piece was first published at Econsultancy.com. Kevin can be found on Twitter and Google+.